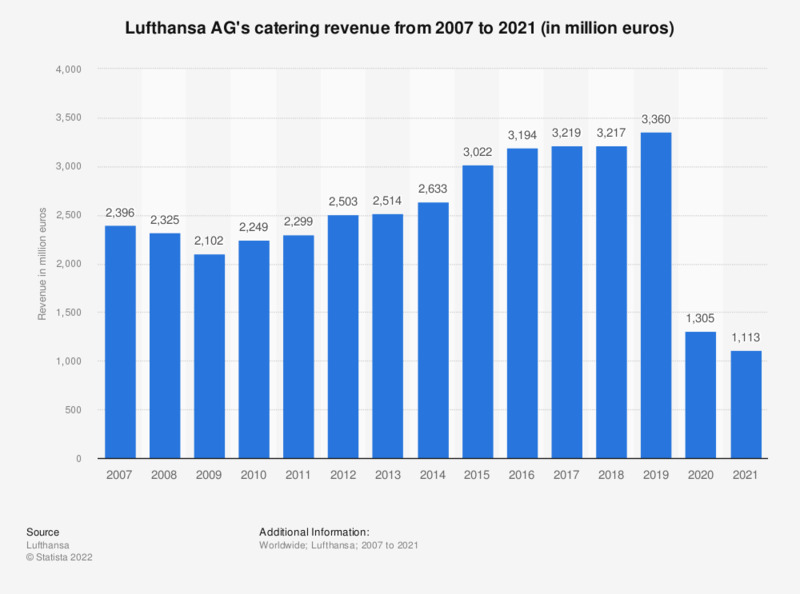 This statistic shows Lufthansa AG's revenue generated from catering services from 2007 to 2018. In 2018, Lufthansa's business segment, LSG Group, generated just over 3.2 billion euros from catering services. Statistics on "Lufthansa in Germany"